Parapolitiki.com, on a very special report, invites five experts -actively conducting research on Cypriot politics- coming from diverse ethnic backgrounds to discuss in depth the island's next day on the aftermath of the recent political change in the Turkish Cypriot side. Cyprus case has always been a highly sensitive issue among Turkish society. The nationalist discourse and actions redound a political power to Turkish politicians over Cyprus issue. In 1977, after Turkey’s military intervention to Cyprus, both CHP and center-right AP increased their votes by playing Cyprus card during their electoral campaigns. Since then, Turkey followed status-quo policy in the island until 2002. That year, Tayip Erdoğan came to power and he seemed to be more than determined to take huge steps towards the solution of Cyprus conflict. He worked hard for the reunification of the island through the Annan plan. His determination was severely criticised by the Turkish nationalist bloc. The AKP government interfered in Cyprus politics in order to change the political atmosphere before the unification referendum takes place. AKP considered Cyprus issue as the most important obstacle for Turkey’s EU membership and tried to instrumentalize conflict resolution for Turkey’s aim. After the referendum's failure and European Union’s approach to Northern Cyprus, AKP returned to factory settings of Turkey’s perspective over Cyprus issue. Since 2004, AKP did not take any single -considerable- step for the resolution of this conflict. Mustafa Akıncı was the only candidate during the recent electoral proceduse who wasn’t in any case desirable by Ankara. In this sense, I argue that Erdoğan lost elections -indirectly- for the first time since he unvelied to power in 2002. Akıncı declares that it is the time for a baby to grow up and he wants to establish a“dignified relationship” with Turkey. The leftist bloc in Turkey welcomed Mustafa Akıncı’s declaration in a positive way while the right-wing politicians and media launched a smear campaign against him. In 41 years, all the Northern Cyprus governments make their first official visits to Ankara, but this time there were some rumours that Akıncı would make his first visit to President Anastasiades. President Erdoğan and AKP government reacted fiercely to these rumours. As a consequence, Akıncı made his first visit to Turkey and he did attend a press conference in a good atmosphere with Erdoğan. This meeting may seem misleading as it's widely known that Erdoğan and Akıncı want completely different things. 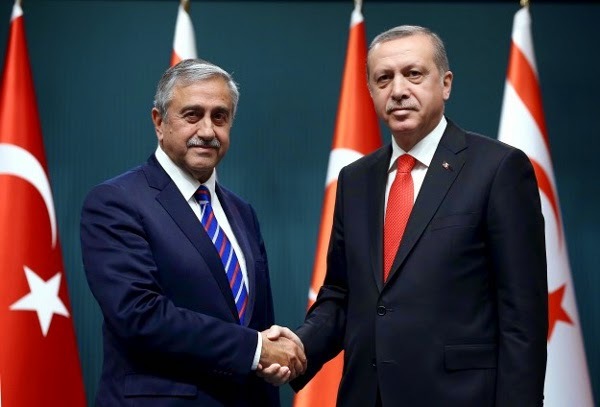 However, Akıncı’s victory was well-received by the European Union and recently, Cyprus, Egypt and Greece boosted their cooperation by isolating Turkey. I don’t expect any huge transformation in bilateral relations in short term, especially during the pre-election period in Turkey. If AKP once again remains in power after the Turkish elections, Cyprus issue will probably remain unsolved. The national election results in Turkey will have an impact on Cyprus negotiations. Akıncı may hope on a HDP-CHP coalition in order to fulfill his pledges. *Emre Metin Bilginer, born in Istanbul, is a PhD Candidate at Kadir Has University. The dissertation he is working on rise of far-right politics in Europe and the case of Golden Dawn in Greece. He has received his BA in Contemporary Greek Language and Literature at University of Istanbul, his MA in International Relations emphasis on Turkish-Greek Relations at Istanbul Bilgi University. Emre currently writes for monthly Diplomatic Observer. Follow him on Twitter.